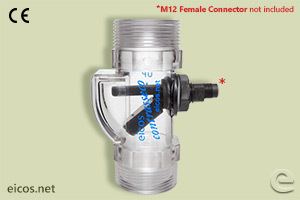 The float inside a transparent tube, shows lack or presence of water in the pump housing. 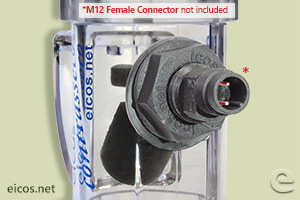 The Contrasseco sensor protects the pump against dry running of the pump, it does not allow the starting of pump without the water. Its transparent body allows the visualization of the water level. 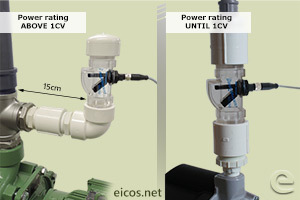 The mounting is made on the booster pumps up to 1CV (1 HP) or parallel pipe. 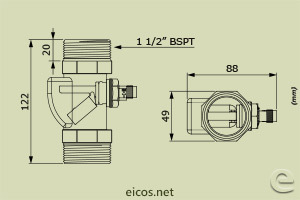 Is indicated the use of the auxiliary contactor with the Contrasseco. Important! Don’t apply solvents or diluents, they cause chemical damage to polycarbonate.